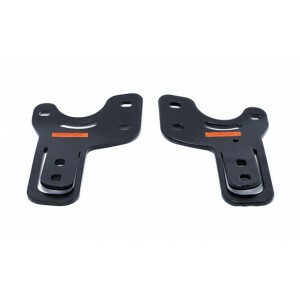 Front hard top brackets for securing your Mazda OEM hard top. They offer tight fix of the hard top to the car body, reducing body twist and give you a coupe-like feeling. No more chattering, wind noises and cracks in the windshield. Laser cut from 4 mm steel, pre-bend and powder coated they will direct fit with or without interior trim. No cutting or adapting needed! Strong metal to metal connection between the hardtop and the car chassis /does not lie on plastic trims! /. 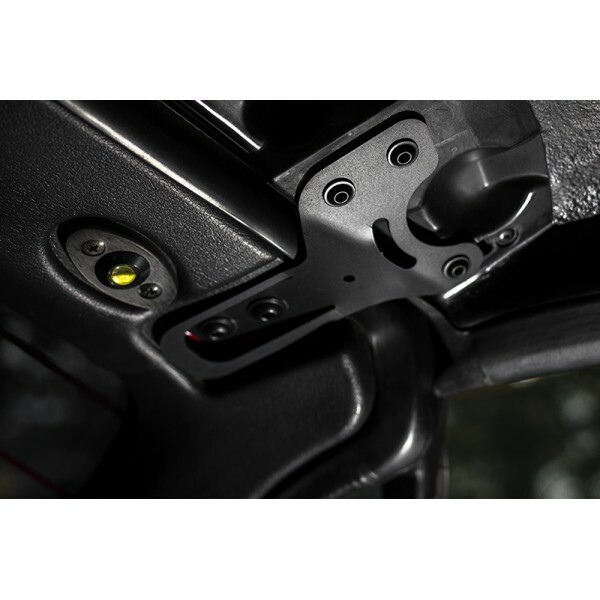 Designed to hold the interior trims together, similar to the Mazda brackets. As added value, they will save more than 2kg weight vs. the stock latches (for the full set). Please note, this is front set only, for a full set please order the side ones as well. The fitting kit is optional and should be added to the order only if needed - the OEM bolts can be reused. c) using the OEM clamp on the one front side, while tightening the other. This method needs definite reinstallation after the brackets are settled however. They will settle into this position quite fast (20-30km). If wind noise is present - reinstall again the front ones at their new front most position (the rears should be removed to allow adjustment further to the font). - before the hardtop installation, make sure, the legs, centering over the frankenstein bolts have their full rubber insulation underneath. Damaged or missing insulation causes knocking noises at the rear. - before the installation, please make sure the rubber hardtop seal at the rear is greased with some silicon to prevent rubbing noises to the chassis.